The purpose of the store is to offer good stuff for great people who love life on earth. We’re asking the question: what do you love? 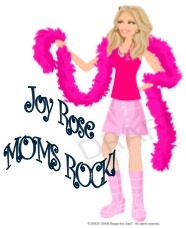 By shopping with us, you’ll help Mama feed the kids and find items that will enlighten, educate, and entertain you. 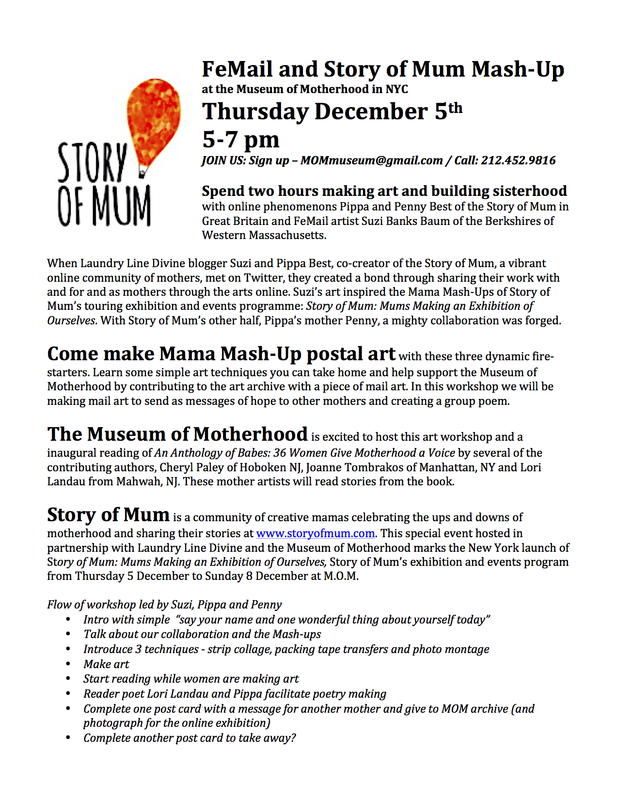 Story of Mum & FeMail Art Comes To M.O.M. 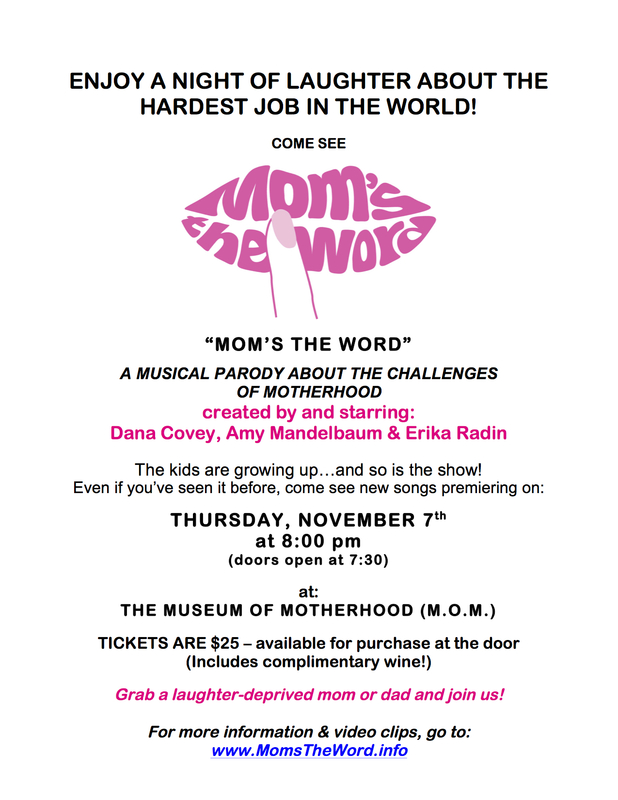 Join http://www.storyofmum.com’s community of creative mamas in New York to celebrate the ups and downs of motherhood, share your own story, and make an exhibition of yourself on and offline. Pippa Best lives in Cornwall, UK with her salty-skinned surfing filmmaking husband, boisterous 5-year-old boy who thinks he’s half Octonaut/half Power Ranger, and 2-year-old daughter who inspires her by saying YES as if it’s the easiest thing in the world. 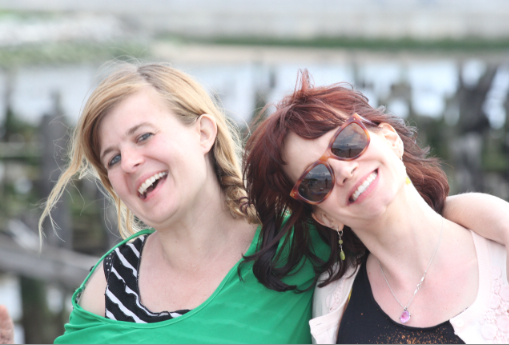 Life is a constant plate-spin of intuitive mothering and work as a script consultant on feature films and as co-director of the Cross Channel Film Lab, where she helps writers and directors to tell their stories and reach an audience. Pippa’s passion is Story of Mum, where she inspires mums (and herself) to connect and explore their identities through quirky, honest and heart-warming creative activities, sharing their stories at www.storyofmum.com, on Facebook, and at monthly #somum Mums’ Make Dates on Twitter (2nd Wednesday of every month from 8.30 – 10pm GMT, 3.30 – 5pm EST). Penny Best lives between 3 parts of the UK. With 3 grown up ‘children’ and now 3 grandchildren spread around the globe life involves constant trains and planes. Being on the move suits Penny who as a dancer has always been fascinated by the stories each of us holds within our moving bodies. For over 40 years she’s been finding ways of encouraging others to explore and express those unique body-stories. As a movement therapist she runs creative workshops far afield – Australia, Croatia, Poland, Netherlands, Romania and the UK. Penny grabbed at the chance to work, learn and play alongside her inspiring daughter Pippa, on Story of Mum. Learning every minute about digital stuff (while holding on by her fingernails) actually loving every moment of mother–daughter exchange and playfulness.